Callaway Golf’s announcement of the Epic Flash driver and fairway woods was accompanied by the introduction of new hybrids and irons under the Apex 19 name. 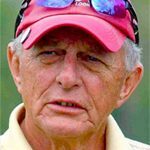 Though most of the media attention will be aimed at the Flash driver those savvy in the sometimes-complicated world of golf gear are paying lots of attention to Apex 19 family members. Starting with Apex 19 Hybrids, for the first time Callaway has been able to design in Jailbreak rods. The rods, first seen in the Epic driver two years ago and in last year’s best-selling Rogue driver, are steel rather than titanium as in the drivers but serve the same purpose. Running from crown to sole just behind the face they tie the crown and sole together which concentrates more energy in the face by not allowing the crown to have as much flex at impact. The Apex 19 Hybrids with the most iron-like trajectory and a modified head shape will appeal to better players—pros and low handicaps. Apex 19 irons come in two types, one a players-distance category design and the other called Apex Pro 19 Callaway classifies as Tour-performance distance iron. Both are forged from 1025 mild carbon steel and use the air-filled urethane microspheres originally developed for the Rogue irons to improve impact sound and dampen vibration. The microspheres surround a MIM’d tungsten weight which was first seen in Epic and then Rogue irons. It is made of a mixture of steel and tungsten injection molded into shape with various ratios of the two metals specific to each iron loft. This gives a lower placement of the center of gravity in the longer clubs and a higher placement in the scoring clubs. The well-regarded 360 Face Cup construction that helped the company take the top spot in irons sales is used in Apex 19s with modified thicknesses across the face to actually add spin back to the ball since the design inherently produces too little spin at certain points of impact. This Variable Face Thickness controls spin for accurate distances. The Apex 19 short irons have been made with a more compact head and different offsets than the previous generation Apex 16 of three years ago. The Apex Pro 19 is being touted as occupying a completely new iron category of Forged Tour Performance. Starting with input from Callaway’s endorsement staff engineers paid attention to the iron’s shape as they created the 1025 mild carbon steel heads. They came up with a straighter leading edge with a higher toe and thin top line complementing the smooth hosel transition to give a “Tour-look” at address. Then to tune in the proper ball launch and impact feel they worked to exactly place a 50-gram tungsten weight in each. A combo set of Apex 19 and Apex Pro 19 is available with the sole shape camber of the Pros matched to that of the regular model as well as having lofts better matched to those of the regular. For better players and Tour pros with a flatter face and flatter lie angles than Callaway’s game-improvement category hybrids. Jailbreak rods for the first time in a reshaped neutral bias head. Forged face cup of Carpenter 455 steel and heads have dark PVD finish. A different approach than the Rogue hybrids, these are true long iron replacements with mid launch and mid spin. Forged players distance iron design. First time urethane microspheres for vibration dampening and improved feel used in forged iron. MIM’d tungsten/steel weight suspended in urethane moves center of gravity deeper to help launch and increase forgiveness without hindering face flex. Both chrome and Smoke finishes available. 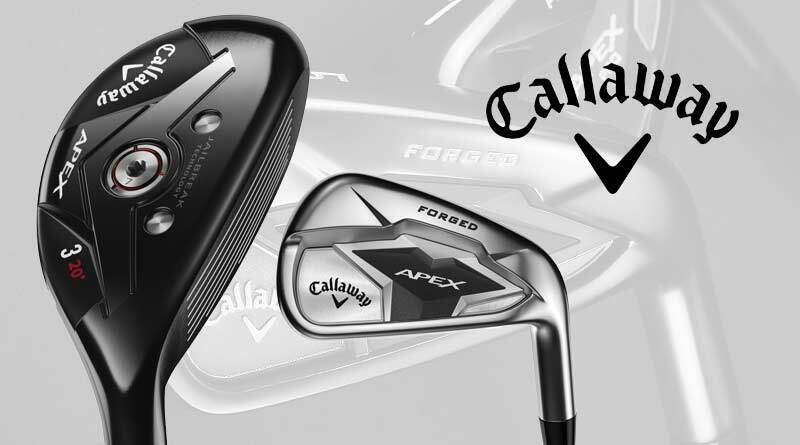 Callaway calls it a Forged Tour Performance iron with Advanced Distance Technologies. Low and mid lofts use 360 Face Cup, the first in a Callaway Tour iron. Variable face thickness in higher lofts. Urethane microspheres in hollow head and MIM’d tungsten/steel weigh. Both chrome and Smoke finishes available.